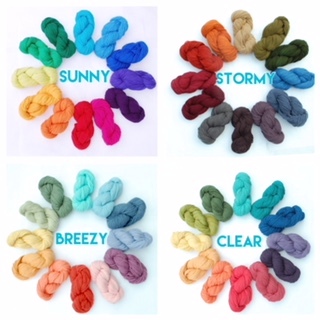 The Sunny Weather Palette is the brightest of our rainbows! 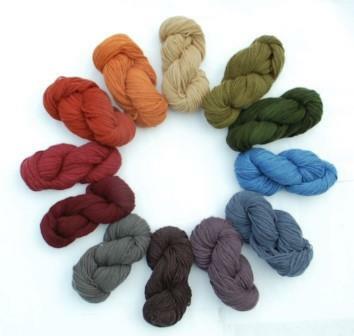 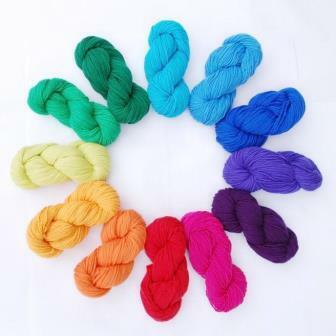 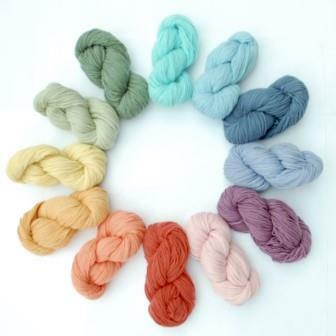 This package contains one skein each of 12 colorways in our 3-strand worsted-weight yarn. 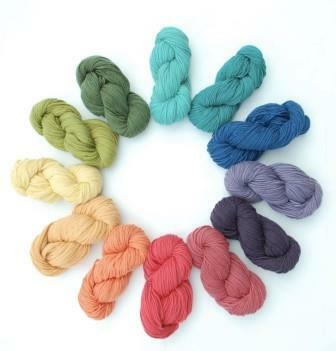 This collection is the perfect base for a cheerful Temperature Blanket or Scarf.